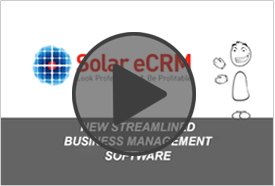 Solar eCRM, enterprise wide Customer Relationship Management (CRM) system for the solar industry. Cloud based online system allowing for a fully automated business process. Leaving you to focus on growth and profitability. ..As a startup, this software has allowed me to grow my business at a high rate from day 1.. ..It is an elegant solution, I have seen how CRMs have improved how businesses function but their prohibitive need for the user to be technologically skilled enough to customise the system, have put off many users. Solar eCRM however is ready to use ‘out of the box’ this is a great solution..
...We are happy we found you, without this software we would be struggling to operate! It has done a great job of managing our solar business.. ..This could almost be the industry standard, with the eruption of solar installations worldwide, I can see this software being used in every country where solar is being installed, it has proven itself to be a flexible system.. ..Meets 90% of my business and operations requirements, customizing an existing CRM would have not just taken a considerable amount of time, but also cost a considerable amount of money. Solar eCRM is an affordable, effective resolution.. ..Solar CRM has really revolutionized our approach to customer service. The ability to track, trace and schedule customers through every step of their solar experience had enabled us to streamline process and increase customer service levels. Increasing efficiency and visibility levels across our business tenable us to do what we do best, focus on our customers. With a quick and easy setup, you will have the ability to automate your day to day solar business activities with this powerful and versatile system. Have greater control over your leads with all the information you need within your grasp. Never miss out on a lead opportunity. Create accurate, comprehensive quotes and send them to clients instantly. Provide solar benefit analyses for the customer. Encompass all costs. Orders processed without losing track of customer, site, installer and product requirements. Track margins with standard pricing for sales orders. Compiled job packs for installers to minimise installation issues. Lodge and track STC claims. Connection and rebate forms to close the loop between installers and customers. Sales and Profit Performance, consolidation, segmentation with margins at macro and/or micro level to manage the health of your business. 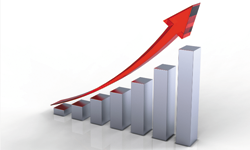 Solar eCRM provides industry specific measures such as margins in $/KW and sales in KW. The information you require will always be at your fingertips, including trends in different segments such as products, territory and sales teams. A comprehensive quote is the key for conversion. The Quote Builder helps to estimate roof area, uses CEC data for estimating efficiency, system sizing & savings, along with site specific charges to eliminate errors and manage customer expectations. Tracking orders, contracts, payments, approvals, job pack preparation, CEC compliance documentation can all become a nightmare without a proven system. 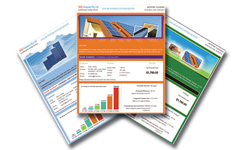 Solar eCRM offers a custom built system designed specifically for use in the solar industry. What makes Solar eCRM right for you? It is the principal Enterprise Wide web system, tailor made for solar retailers. Have access to industry specific features that streamline the solar installation process. It can go anywhere that you can go, It is fully compatible with mobile devices so you don’t need to be at the office to know what’s going on. The ability to know costs at the order stage and highlighting profitability measures in $ per /KW ensures your business can grow with a high level of profitability. Hosted the world’s leading specialist in the hosting and cloud computing industry. Data security and confidentially is ensured by an independent Law firm. It is hugely affordable, your small investment will save you thousands of dollars in the long run as your business grows quickly and profitably.